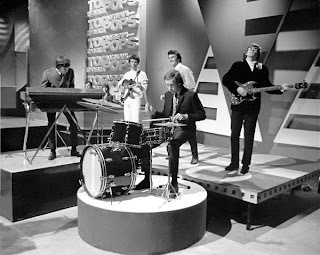 The Zombies in the 60s perform their hit “She’s Not There” on Top of the Pops. For all you audiophiles out there, this show is for you. The Zombies, The Yardbirds, and the Spencer Davis Group will all be here to play some of the best pop music ever created, all under one roof! If you like ramen noodles and pork, then Momofuku is your spot for food. The Berkshire pork is the best I’ve had and it’s the only place I’ll eat pork period, which should tell you just how good Momofuku really is! The Village Pourhouse looks like a neighborhood bar to watch sports but it actually has three more rooms, where you can order food or find a quiet place to smooch! For dessert a little left of the dial, Sundaes and Cones offers eclectic flavors like wasabi and corn and many more flavors that are familiar. Indie popsters The Pains of Being Pure at Heart head up this FREE show with Ribbons and Zaza. Check them out because they make good music and you will most likely want to dance. It’s Friday and it’s time to party. While most people buy hot dogs and grab a beer at expensive restaurants in the Seaport mall, you’ll be smart and head over to Burritoville for inexpensive and delicious California inspired burritos, all under $10. For drinks, Jeremy’s Ale House has a lively crowd and a beer list that will get you a pint for $5 and under. If you get down to the financial district early, check out Century 21. They won’t try to sell you some property, but they have some great designer clothing on the cheap, plus the place is huge to roam. 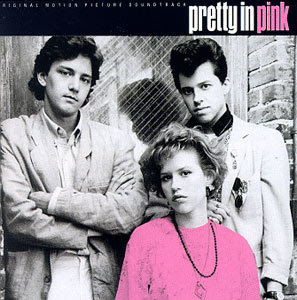 Relive one of the best or worst nights of your life at Pretty in Pink Prom Night. Inspired by the John Hughes film, this 80s themed Prom will feature music by The Engagements and will be chaperoned by Sara Schaefer and Dave Hill. The theme at Press 195 is pressed comfort food. A sandwich shop with quite the menu, they offer 30 types of delicious sandwiches like the turkey and fontina cheese sandwich with a cranberry and roasted pear chutney on ciabatta ($7.75). While Union Hall looks like a cabin at a ski resort with a fireplace, stone walls, comfy couches, and inexpensive drinks, you may want to stick around rather than barhop. A low-key bar in this hood, O’Connor’s is a hole in the wall where you can grab a cheap drink and watch the game on their TV, just like your grandpa sitting next to you! Performing music by the late Arthur Russell at P.S.1 WarmUp, Arthur’s Landing is made up of his old bandmates who are exploring the quieter side of his exuberant music. Joining them are DJ Danny Wang playing disco/house music and MV Carbon and Aki Onda who make offbeat music with whatever they can find. Being that you’re in Queens anyways, you HAVE to take the 7 train to Sripraphai, one of New York’s top Thai restaurants. What makes it better than most is the fact that the ingredients are fresh, and instead of choosing your entree with a choice of meat, they offer a novel sized menu with pics of every dish, most under $10. Once a heavily Irish neighborhood, Saints and Sinners is one of the best looking Irish bars left. Grab a Guinness at the bar or traditional Irish food. If you can, head over to Baruirs in Sunnyside for one of the best cups of coffee in Queens. 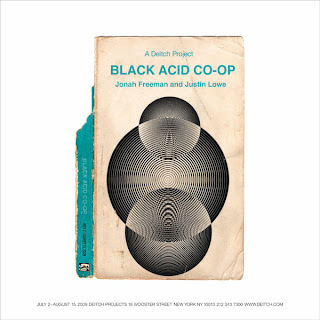 The third collaboration between artists Jason Lowe and Jonah Freeman, Black Acid Co-op takes us on a voyage of alchemy in a modern context by looking at counter-culture spaces in urban environments, and there will even be several rooms to explore. One of the best affordable Vietnamese restaurants in the city, Nha Trang is right near the downtown courthouse, making it a high volume place. Despite that, the food is great and the Pho (rice noodle soup) dishes are $5 and under. Named after William S. Burroughs novel, Naked Lunch is a cool and comfortable bar where local artists usually gather. No shooting up though! One of the best taqueria’s in the city, the Mexican food at La Esquina is authentic and to die for. While tacos will set you back $3, plates are in the $6 to $7.25 range.